Otherwise known as pyrexia in medical terminology, a fever is a natural response by the body to fend viruses or bacteria that cause infections and other diseases. When your body temperature goes higher than the normal, you will experience a fever. The normal body temperature range is 37°C (Celsius) or 98.6°F (Fahrenheit), but the number can vary in adults and children. If a child has a fever, the body temperature will be 99.5°F (37.5°C) whereas, for adults, it will be 99 to 99.5°F (37.2 to 37.5°C). 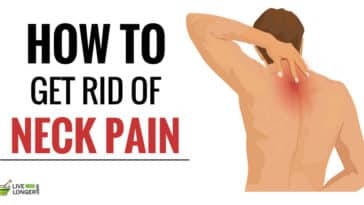 Though the condition is common, it can make you feel very weak and sick. Also, some may experience common cold and cough. For a speedy recovery, some natural herbs and home remedies can help a lot. Before we list them to you, first let us look at the symptoms and causes. A part of your brain “hypothalamus” is responsible for regulating the temperature of the body. You would be surprised to know that this variation or temperature change happens within a few hours or a single day. 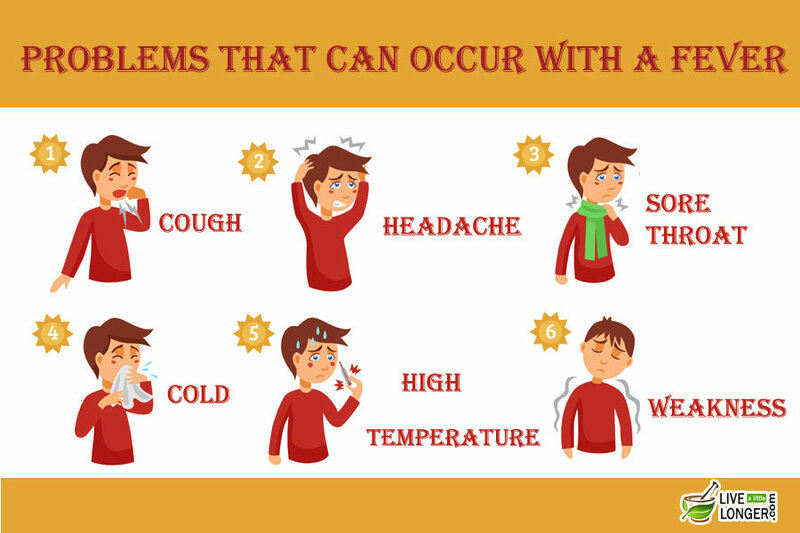 Changes in weather and drinking water can also cause a fever. 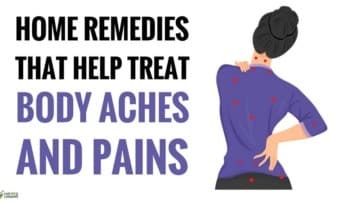 Before you head to a doctor or spend money on the pharmacies, we recommend you to try these simple remedies at home. 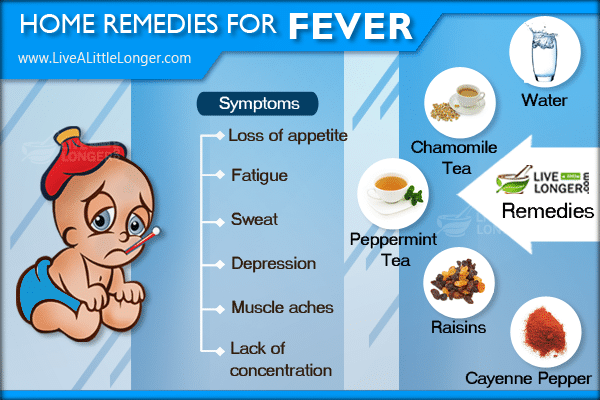 These tips are highly effective in reducing fever. Step 1: Take 2 fresh betel leaves, 1 teaspoon dried ginger, ½ teaspoon black pepper if you are an adult (reduce the proportion if you are administering to a kid), 1 teaspoon palm jaggery, and ¼ teaspoon turmeric (use its sticks to grind it before you use and avoid using readymade powder). Step 2: Take 2 cups of water and add all the ingredients into it. Step 3: Boil for 15 minutes. Step 4: Drink this twice in a day to see your fever reduce completely. 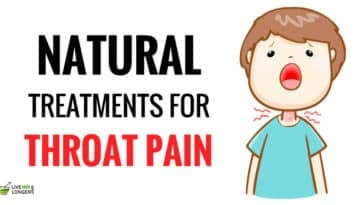 Note: This remedy is great for kids and even pregnant women. Just reduce the pepper quantity. Heart-shaped betel leaves are an excellent pool of natural phenolic compounds with antimutagenic, antiproliferative, antioxidant, and antibacterial, properties. Since they have many natural antibiotics too, betel leaves help in easing phlegm and coughing during a fever. 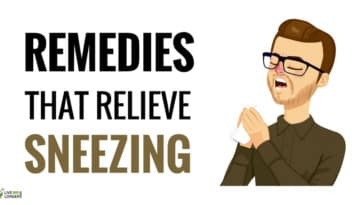 Also, it is one of the best remedies for cold too. 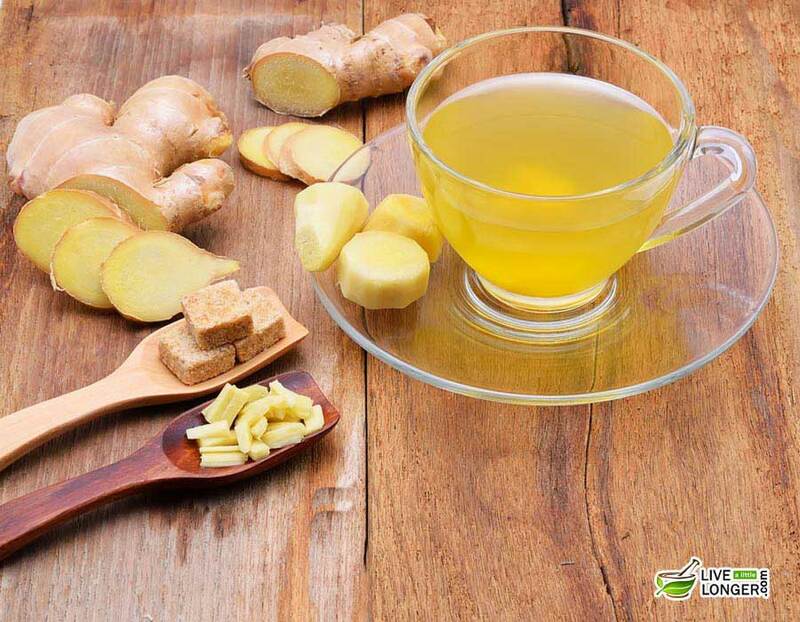 Dried ginger is an analgesic and antibacterial. It increases appetite, improves the respiratory and cardiovascular system. The oleoresin from the ginger rhizomes (or roots) contains multiple bioactive components like gingerol, which is the main pungent ingredient to exert various remarkable physiological and pharmacological activities. Even though ginger is considered safe, we recommend you not to use therapeutically, unless you understand its entire mechanism. Also known as the “the king of spices,” pepper contains alkaloids that stimulate the enzymes of your pancreas and thus, increases the digestion. 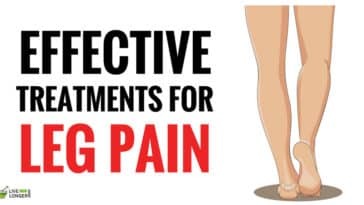 They have a particular essential oil called piperine (alkaloid), which helps in increasing the absorption of B-complex vitamins, beta-carotene, and selenium. Even though sugar and jaggery are obtained from the same source, they are different in their properties, benefits, and appearance. It is rich in iron, calcium, minerals, and vitamins. It is one of the healthy substitutes for sugar and can be used by diabetic patients as well. Whether it is cold, cough, fever, an upset stomach, headache, or aching muscles, turmeric has always been the best remedy. Turmeric contains a natural compound called curcumin, which is well known for its anti-fungal, antiviral, anti-cancer, and anti-bacterial properties. You are suffering from heartburn. You have migraines, tuberculosis, epilepsy, stomach ulcers, and psychological disorders. Step 1: Soak 15 grams of organic carom seeds with a cup of water in a vessel (earthenware would be great). Step 2: Leave it overnight but keep it open. Do not close it with a tight lid. Step 3: The next morning, strain this liquid and drink. Step 4: Continue until your fever subsides. 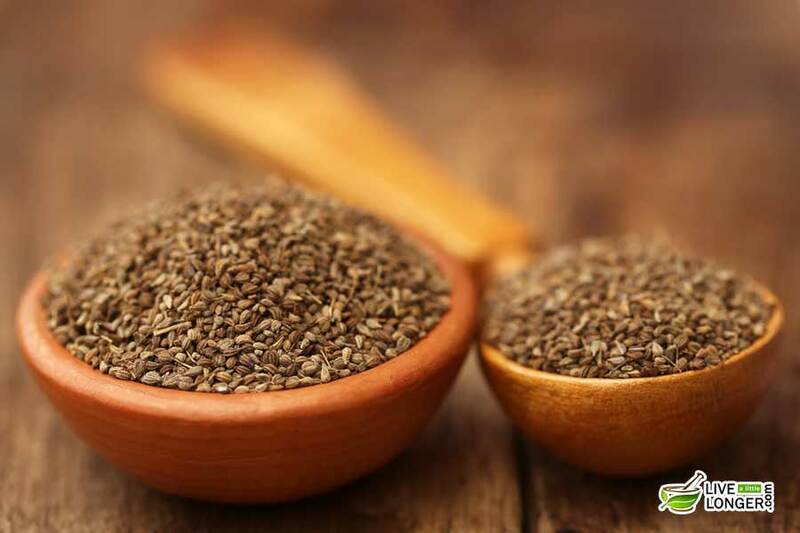 Did you know that carom seeds have 26 vital components? 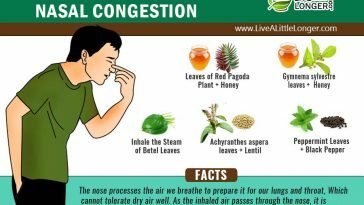 In fact, they have been identified to contain 96% of essential oils, even including a major component called thymol, which has p-cymene, alpha-pinene, Beta-pinene, camphene, carvacrol, and limonene. Also, these seeds contain multiple essential oils, which exhibit properties like germicidal, antiseptic, antispasmodic, and fungicidal. Thus, cures cholera, nausea, colic pain, vomiting, diarrhea, indigestion, dyspepsia, arthritic pain, flatulence, etc. You consume the seeds in excess. 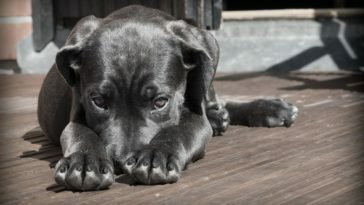 They can cause skin irritation, nausea, headache, allergy, and vomiting. 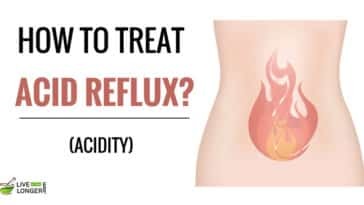 You are suffering from disorders associated with hyperacidity. You are pregnant or breastfeeding. It contains a compound called khellin, which can contract the uterus. Step 1: Add one teaspoon of coriander seeds in a glass containing water. Step 2: Boil the mixture for 10 minutes. Step 3: Once it is warm, strain and drink it. Step 4: If you don’t like its taste, we suggest you add some palm jaggery to it. Also known as cilantro, coriander seeds have many medicinal properties. It is enriched with magnesium, calcium, potassium, and sodium. Due to its hypoglycemic effects, the seeds are often referred as anti-diabetic. It has a compound called linalool, which increases the appetite and detoxifies the liver. You are suffering from sunburns. You are suffering from diarrhea, dehydration, and depression. You are going to or undergone surgery. So, if you have been wondering how to reduce fever, then hot water is the answer. In fact, this trick has been used since olden times. Just follow the instructions given below. Step 1: Dip a gentle washcloth in a bowl of warm water. Step 2: Wring out the excess water. Place the towel in areas like feet, hands, groin, and armpits. Step 3: The temperature will be reduced. Alternatively, you can place a washcloth prepared in a similar way on the forehead or at the back of the neck. Kindly remember that the clothes have to be changed after a few minutes. 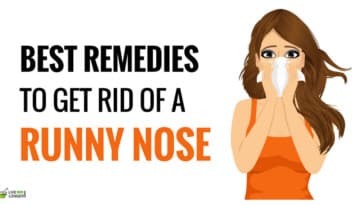 Note: This method is considered the most efficient home remedy when dealing with a high fever. Placing a water-dipped cloth on specific parts of the body reduces the temperature, as the heat in the body is lower than the heat in the cloth. You are administering the treatment to an infant. Check the water temperature or the child will suffer from shivering. Remember, the water should be cold but not to the extreme, as the internal temperature (of the body) might be increased. 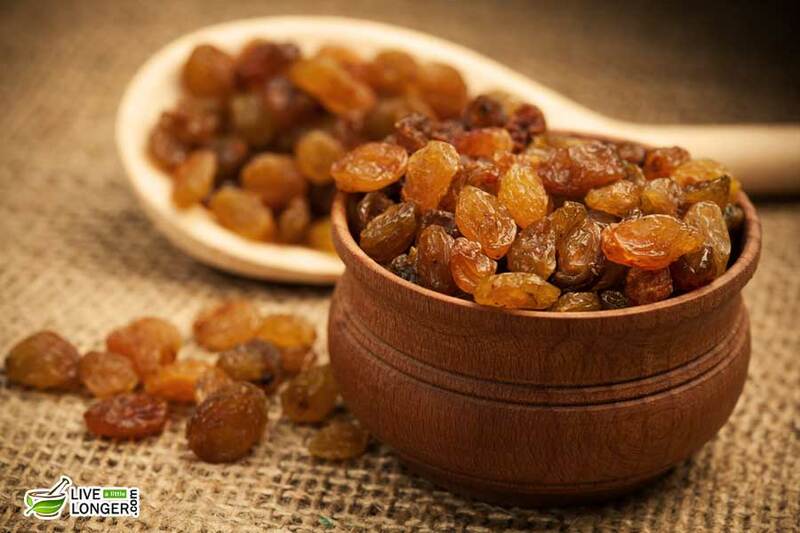 Raisins are effective in enhancing the body’s immunity to fight infections. They also assist in reducing the temperature of the body. Step 1: Take nearly 30 raisins and soak them in a tiny bowl of water. The raisins have to remain immersed in water for some time. Step 2: The raisins should be crushed inside the water. 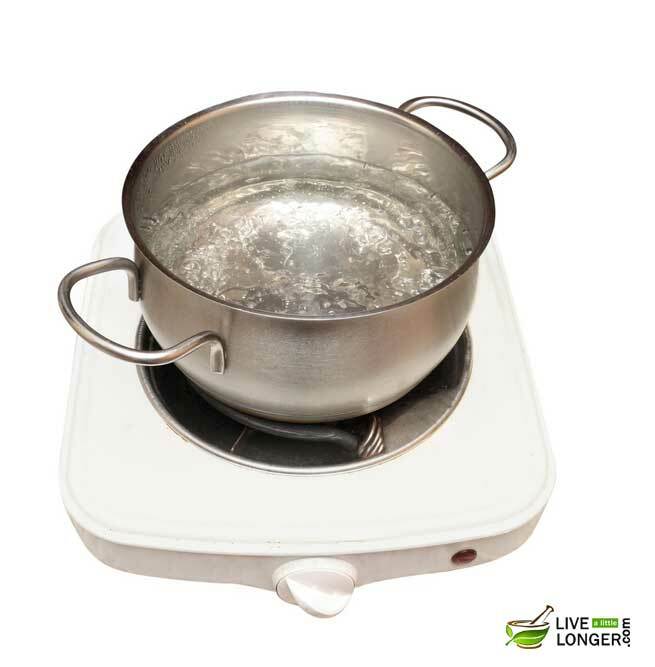 Strain the water so that the residues are separated. Step 3: You can add half a lemon juice to the solution. Step 4: Have the mixture twice a day until the fever gets reduced. The main ingredient in raisins that assist in reducing fever is the phenolic phytonutrient, which exhibits antioxidant and antibiotic properties. They are also in providing protection against a sore throat, cough, etc. It contains phosphorus and selenium — the two minerals responsible for absorption of proteins and nutrients in the body. 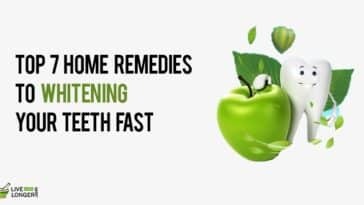 The other medicinal components are the catechins (polyphenolic antioxidants) which eliminate the free radicals that can cause harm to the body. You suffer from clotting of blood. You might suffer from slow clotting of blood. You have to undergo surgery. It is advisable to stop having raisins two weeks before surgery. You are taking medications such as Warfarin (Coumadin), Phenacetin, etc. The medical components from raisins will interact with these medicines. The main medicinal properties of herbal teas are the abundant anti-inflammatory and anti-oxidant compounds present in them. These compounds are effective in promoting relaxation, help in digestive disorders, etc. Unlike the two remedies mentioned above, after you ingest the herbal teas, the duration of effect will be after two to three hours. 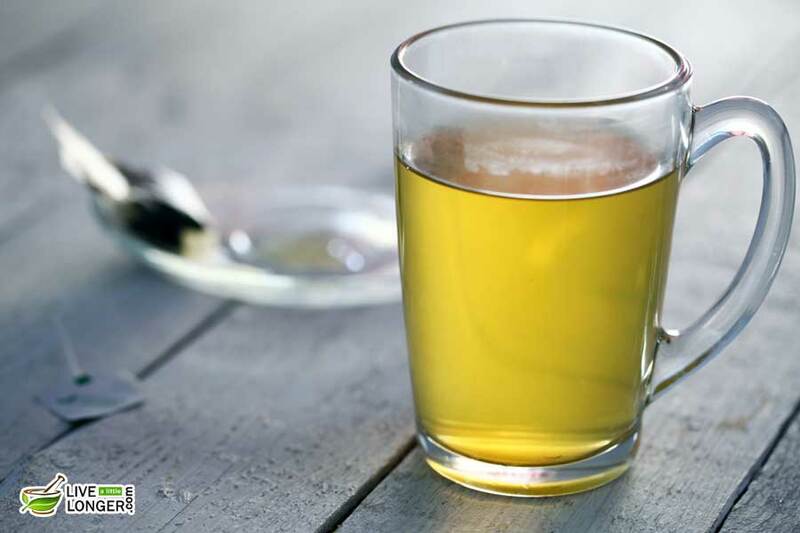 Taking herbal tea during fever stimulates the body, promotes sweat, and assists with hydration. The tea made from chamomile has been found to decrease symptoms of inflammation, chest colds, and congestion caused (which are all a result of fever). Step 1: Boil a bowl of water and mix two to three grams of dry chamomile flower for five minutes. Step 2: Strain the water and then drink. Note: Have a discussion with the Doctor before giving chamomile tea to a child. 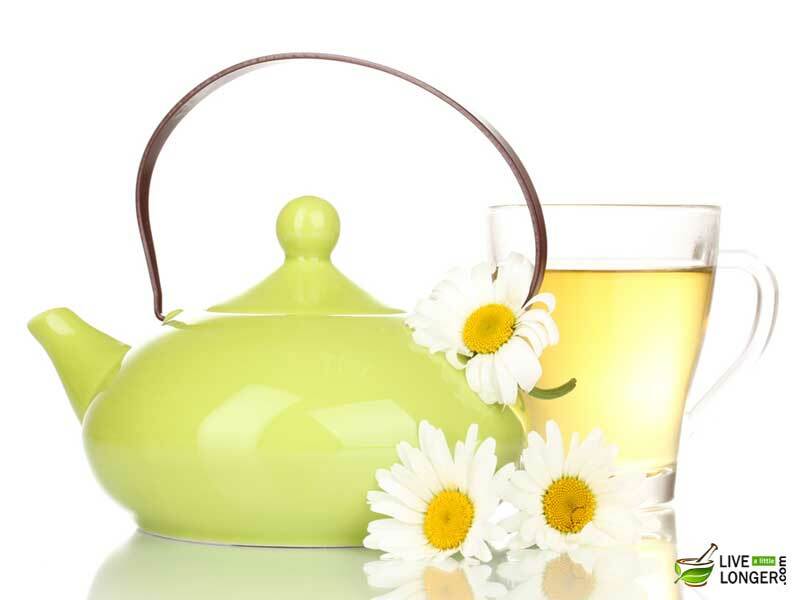 Chamomile tea is known for calming the nerves. It has major medicinal components such as apigenin (flavonoid) and oils like bisabolol, matricin, and bisabolol oxides. Also, they exhibit some anti-inflammatory properties like bisabolol and apigenin. 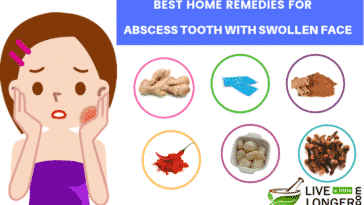 You are allergic to ragweed plants, daisies, chrysanthemums and celery. Oral allergy signs will be swelling of the tongue, on the roof of mouth or lips. This tea provides a cooling effect on the body due to menthol. Just follow the instructions given below to make a healthy peppermint tea for fever. Step 1: Take a half teaspoon of peppermint leaves and mix them in a bowl of water for three to five minutes. Step 2: Strain the residue and then drink the water. The main medicinal properties of peppermint are menthol, methyl acetate, and menthone. Menthol’s cooling sensation is because of the activation of sensory neurons or TRP channels (transient receptor potential). 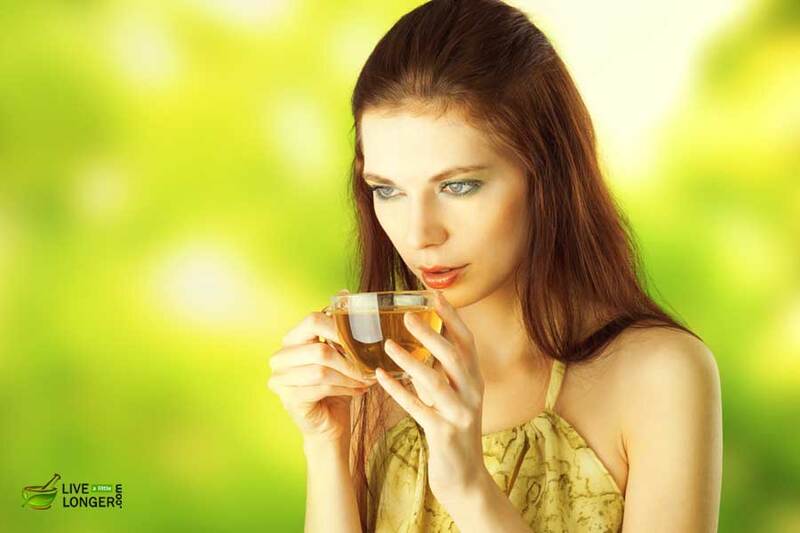 Drinking this herbal tea can make the body produce sweat; thus, reducing the fever. You are using drugs such as felodipine (for blood pressure) and simvastatin (cholesterol-lowering drug). Peppermint might interact with these medications, and adverse reactions can happen. You have asthma – menthol can aggravate the conditions leading to breathing difficulty. 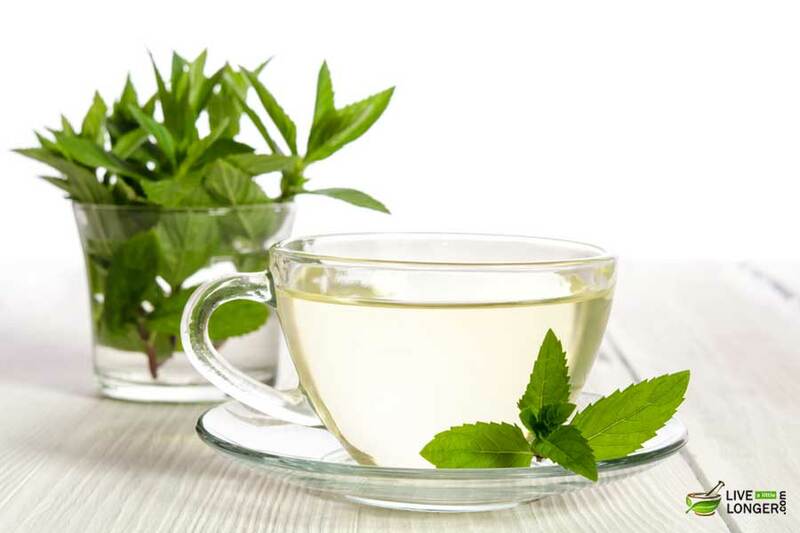 You are pregnant – Taking mint tea or menthol supplements during pregnancy can cause miscarriage. Avoid even supplements if you are breastfeeding a baby. Step 1: Add a half tablespoon of cayenne pepper or the similar amount of cayenne pepper powder to soup. Step 2: Boil the mixture and partake the soup two to three times a day. 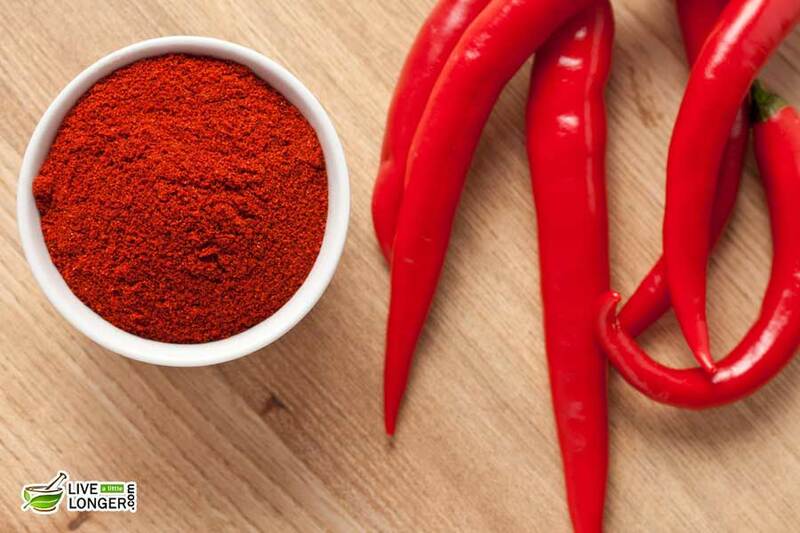 The main medicinal ingredient of cayenne peppers is capsaicin, which is known to have anti-inflammatory, antioxidant and antiviral properties. It acts as a stimulant to promote sweat in the body. Capsaicin regulates the fever through regulation of pyrogenic cytokines. You are giving the mixture to an infant with fever. Doctors do not recommend cayenne pepper to a child or infant with a fever. Ginger is one of the main medicines in Ayurvedic treatment. Apart from fever, it can treat various ailments. Step 1: Take a fresh ginger root of one to two inches. Step 2: Take 2 cups of water and two teaspoons of honey. Step 3: Grate the ginger into tiny pieces. Step 4: Add the ginger to the bowl containing water and boil for ten minutes. Step 5: Let the mixture become warm. Step 6: Strain the mixture. Add honey and lemon juice (three teaspoons) to it. Step 7: Consume the mixture four times a day. Lack of appetite is one of the common symptoms of fever. 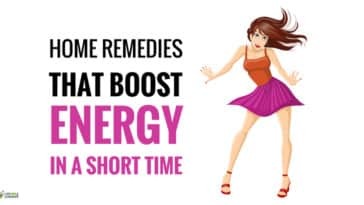 When your body breaks proteins and fats, you get more energy. Ginger exactly does this. The active oils and spicy components of ginger help a lot in metabolism. The active components (that boosts the immune system) in ginger are gingerols and shogaols. 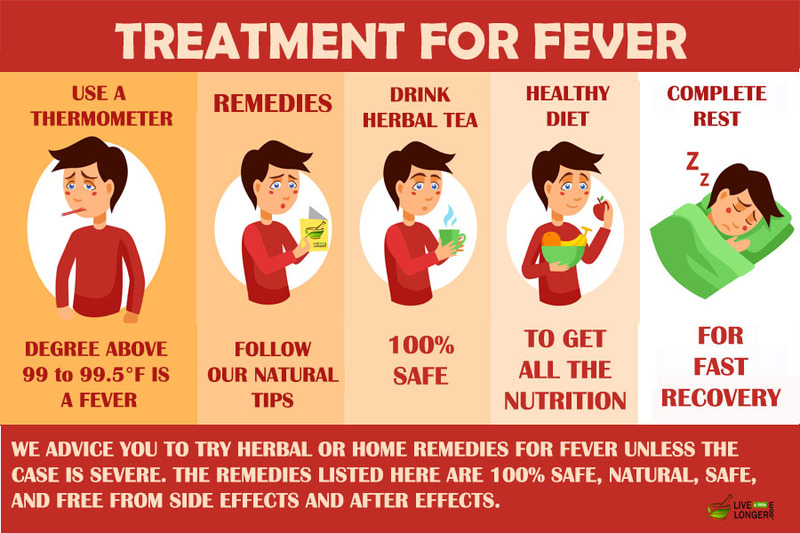 Kindly note, fever is the natural defense by the body against harmful pathogens and with little relief from this ‘root’; you can easily face the challenge. You are having a heart problem or history of diabetes. Garlic is a preferred remedy when the body fights against fever and cold. It is known for its antifungal and anti-viral properties. The mucus blocking the lungs is cleared. 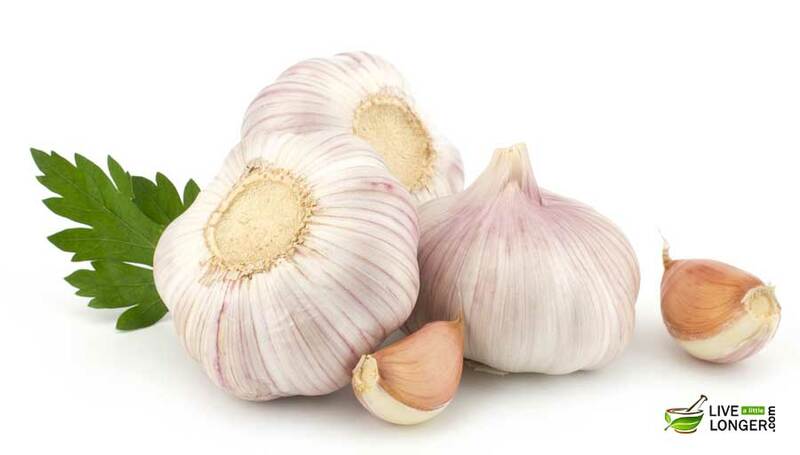 The other benefits of garlic are a reduction in blood pressure, possibilities of heart attack and paralytic stroke. Step 1: You can chew three cloves of raw garlic, before hitting the bed. Step 2: If you fear odor, add it in the dinner menu. Allicin, the important component in garlic, has antiviral, antioxidant properties. It is also a source of selenium and ajoene, alliin. 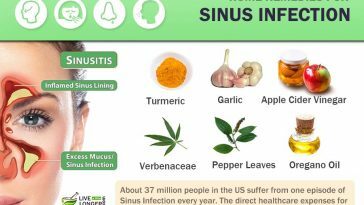 The garlic components assist in drying up the airways and nasal passages and decrease the build-up of mucus that blocks the sinus. 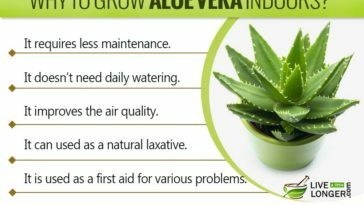 It also boosts the immunity in the body; thereby, the harmful organisms are eliminated, and you naturally get rid of fever. 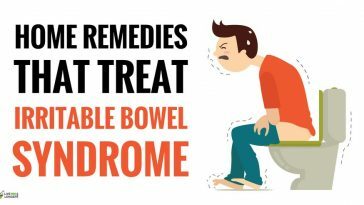 You have a gastrointestinal disorder. 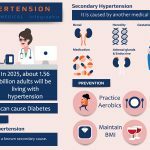 You have a history of low blood pressure. The blood pressure might become too low. You should avoid taking garlic fifteen days before surgery as it encourages bleeding. The flavored spice cinnamon is used in Mediterranean and Asian cuisines, and at one point of time, it had assumed significance in Ancient Egypt. Step 2: Take one tablespoon of honey and mix with the cinnamon powder. Step 3: Consume the mixture two to three times a day for three days in a week consistently. 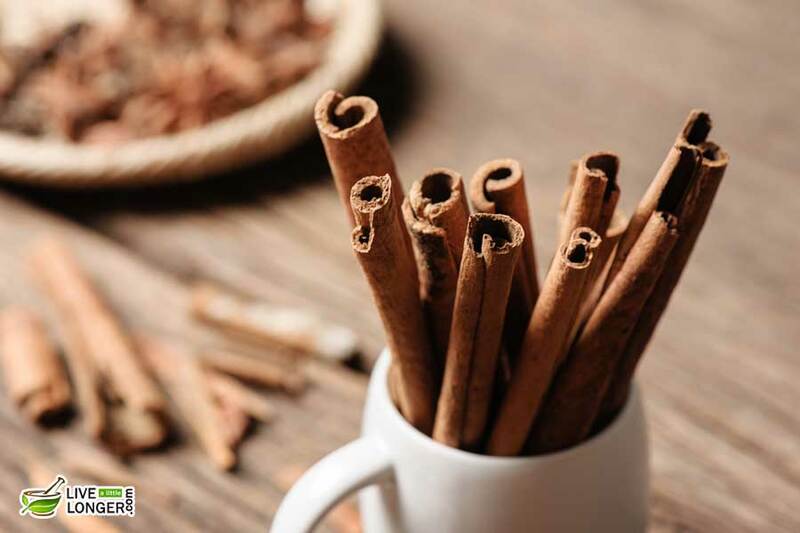 The unique healing properties of cinnamon are based on three components known as cinnamaldehyde, cinnamyl alcohol, and cinnamyl acetate and a range of volatile substances. The ability of this kitchen component to reduce the level of arachidonic acid in the cell membranes helps to curb inflammation. Both honey and cinnamon make a lethal combination in enhancing the immunity of the body, so you get relief not only from fever and cold but also against future attacks. You are diabetic. Blood sugar levels can become low, and it has to be monitored. You have a liver disease. Ensure that you take the relevant dose. Basil has been used by old generations to treat anxiety and stress. 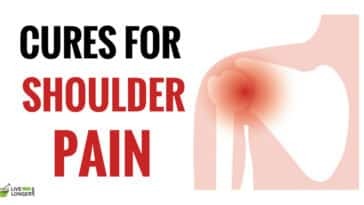 It is also given for symptoms of arthritis. You can also use it for simple ailments such as a headache, flu, and sore throat. Step 1: Take twelve to fifteen leaves of basil plant and a pot of water. Step 3: Put the basil leaves in water and let it remain for fifteen minutes. Step 4: Strain the mixture after it has become warm and consume the mixture slowly. Alternate method: You can also add clove along with basil leaves to get maximum benefits. 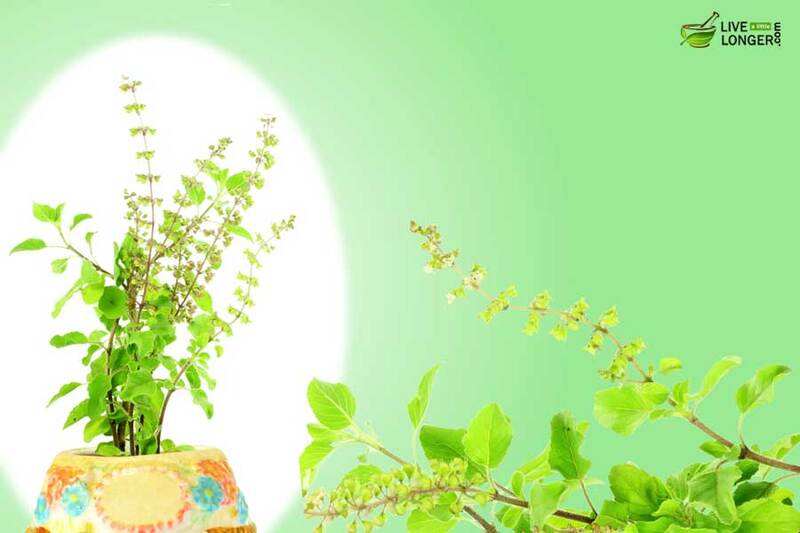 A compound called eugenol exhibits multiple medicinal properties in Holy Basil. Also, there are other polyphenolic flavonoids called vicenin and orientin. Basil leaves also have some volatile oils named citronellol, citral, terpineol, limonene, and linalool, which are well known for their antibacterial properties. Apple cider vinegar is one of the best home remedies for fever. The liquid has powerful antibiotic properties that can keep fever-causing microorganism at bay. Step 1: Make a mixture of two tablespoons (vinegar), one tablespoon (honey and lemon juice). Step 2: Mix all the components with warm water. The immunity of the body becomes more prone to viruses when it comes to the over-acidic state. The alkalizing property of ACV assists in balancing the pH of the body and fights the pathogens. 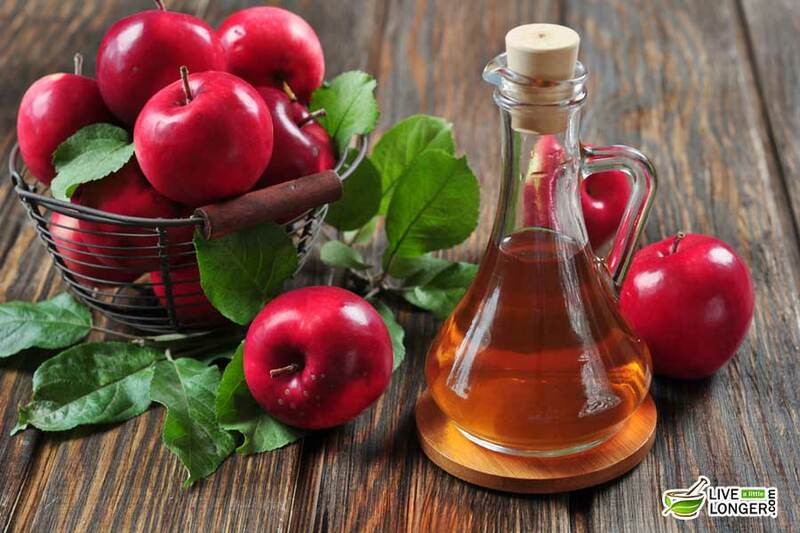 The apple cider vinegar is prepared through a long fermentation process, and it has rich components like catechin, caffeic acid, and gallic acid. You have diabetes. The blood sugar level can become low, and the dosage has to be managed. Step 1: Mix powdered turmeric with powdered black pepper and consume the mixture in a cup of warm milk. Step 2: Have this mixture at least two times a day to keep the symptoms of fever at a distance. 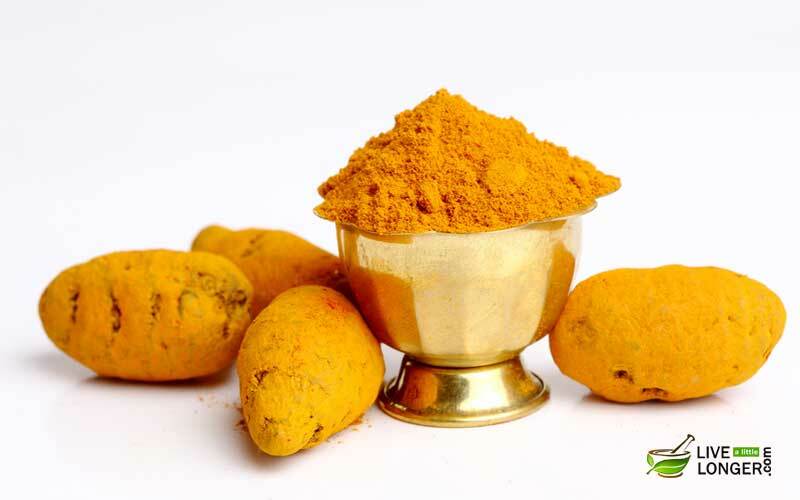 The medicinal component is curcumin in turmeric possesses antioxidant and antifungal properties. The medicinal properties in pepper are piperine (amine alkaloid). Both make a lethal combination in enhancing the immunity of the body. Since turmeric is considered antibiotic and antiseptic agent, it can be used for inflammation, and this can assist in preventing of snoring. The main compound is curcumin, which is divided into three types. Diferuloylmethane is considered as having the most medicinal properties. You are taking medication such as Advil, Anaprox, Fragmin, Coumadin for any problems. Interactions might happen to lead to worse situations. You are pregnant. 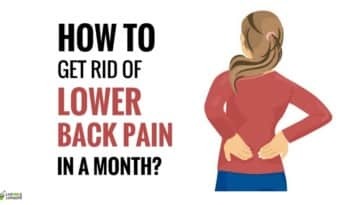 It might trigger a menstrual period or other condition and put the life at risk. 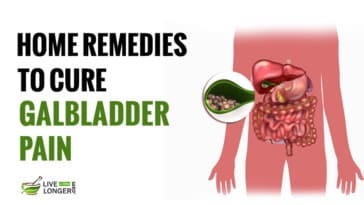 You have a gall bladder problem. The situation might turn to worse. You suffer from bleeding disorders. It might prolong bleeding in case of a bruise. You are diabetic. The blood sugar level will become low. Sandalwood has cooling and therapeutic properties that bring down inflammation as well as fever. In the case of fever associated with a headache, it may easily bring relief. Step 1: Mix half a teaspoon of sandalwood with sufficient amount of water to make a paste. Step 2: Apply as a thick coat on the forehead. Step 3: Repeat the process every four hours until the fever comes down. Do not follow this process or any other mentioned above, if you have a very high temperature. Seek the advice of a natural physician. 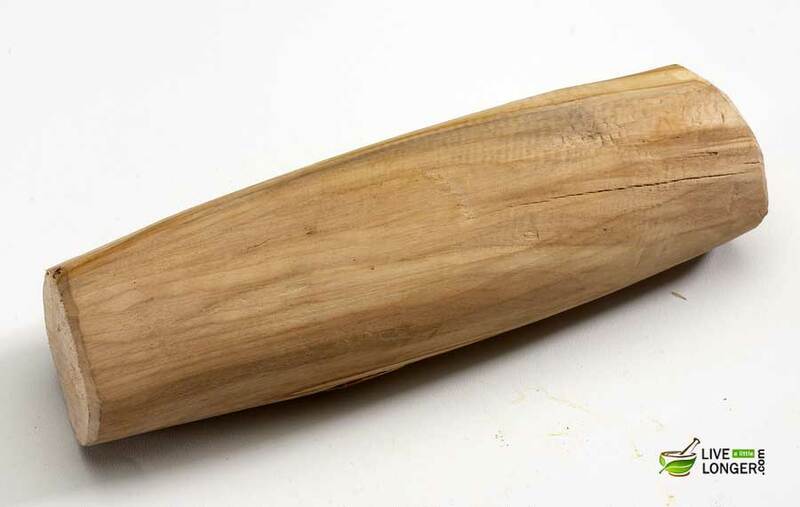 80 – 90% of this wood has the constituents of sesquiterpene alcohols while the most important are alpha-santalol and beta-santalol. It also contains stearolic acid as well as santalbic acid. The paste has cooling properties that can bring down fever. It is not organic, or you are using an impure quality. You are allergic to sandalwood; you can experience reactions such as rashes, hives, and itchy skin. Kindly remember, that the fever can not only occur as a result of infection but also due to mood swings, changes in hormones, exposure to hot weather, excess physical activity. Coffee or any caffeinated drinks should be avoided, however, in the case of partaking the drink, partake an additional one liter of water. You can also drink glucose-free, non-caffeinated drinks (containing electrolytes) which assist in reducing dehydration. However, doctors advise against this method for children below five years. Include green leafy vegetables in the diet. Refrain from smoking, alcoholic drinks and eating refrigerated foods. 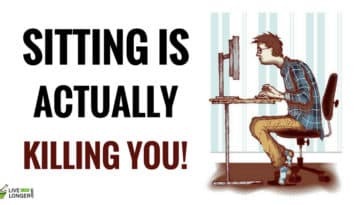 Plenty Of Rest: Indulging in physical activity will make your body weaker. 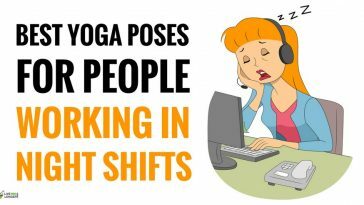 It is necessary to give the required rest to the body so that the internal organs can recuperate. So give the body and all the organs the much-needed sleep. 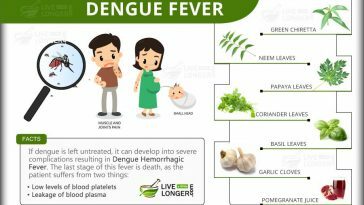 Fever is naturally regarded as a positive, but if you are not relieved of the symptoms in few days, then it is advisable to consult a Doctor. Taking medications for a fever should be the last resort and is not advised by many Doctors. However, for small children, the symptoms of fever has to be carefully noticed, and if needed, you have to take the services of a doctor (or if the fever exceeds 40 degrees C or 104 degrees F). 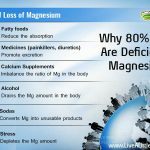 Next article Why 80% of Us Face Magnesium Deficiency?